A luxurious, adults-only hotel, Lindos Village Resort and Spa-adults-only has plush 9 three-storey buildings. The hotel complex is located on a beautiful and spacious garden. The guests are offered parasols and sun beds at the 2 inviting pools of the hotel. Lindos Village Resort and Spa is just 5 km away from Lindos city and the Rhodos town at just 45km from the hotel. A bus stop near the hotel provides connectivity to the various nearby destinations. 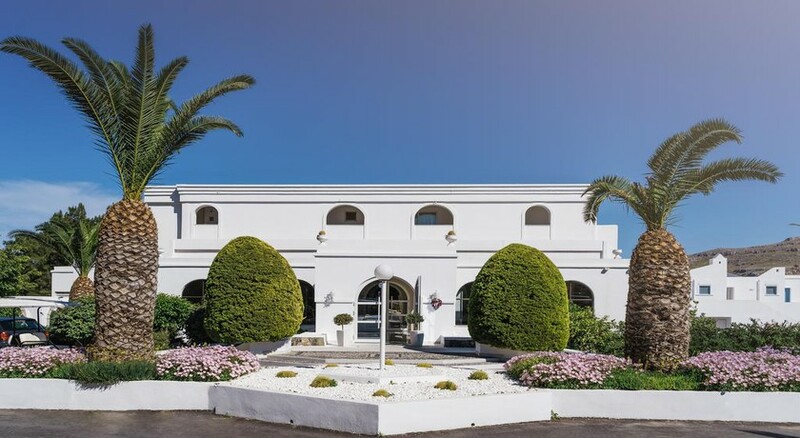 A very relaxing property, Lindos Village Resort and Spa -adults-only is the perfect destination for couples who want to spend some private moments alone. 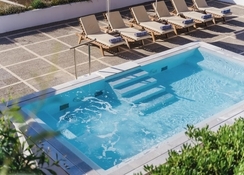 An idyllic resort is quite self-contained in the village of Lindos. Guests can enjoy leisure walks at the pebbly beach right in front of the hotel – Vlycha Beach. With the limitless sunshine in the island of Rhodes, this location is perfect for travelers seeking some sun. It overlooks the enchanting cove and the stunning sea. The Lindos Village is at 5km from here and the Rhodes town is at a distance of 45km from the resort. 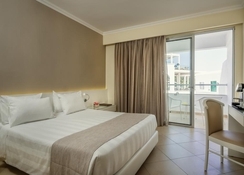 Guests can choose between Deluxe Double Garden View, Deluxe Double Sea View and Double Panoramic Sea View rooms here. There are two junior suites available too. The rooms are quite lavish with all modern amenities. Experience the taste of Rhodes and Mediterranean cuisines while here. The Ambrosia Main Restaurant serves breakfast buffet and dinner. 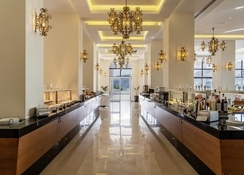 The Thalatta A la Carte Restaurant serves Mediterranean cuisines. Eros Main Bar and the Ydor Pool Bar are swanky bars at the property serving exotic drinks. Plenty of sports and recreation activities are present here for your leisure and fitness. Guests can use the fitness centre, practice yoga, pilates, aerobics, water skiing, sea fishing, canoeing, scuba diving, boccia and tennis. You can also rent mountain bikes to explore the nearby areas.